In October 1924 the Parents Committee purchased a block of land in Palmerston Street. This was an unmade road, and it looked as if drainage might be a problem, but after considering other blocks in Butler Street and Fairholm Grove the decision was made. There was some discussion on the type of construction we would have—we could afford a small brick hall, or a larger wooden one. The final decision in favour of the wooden building was by one vote! 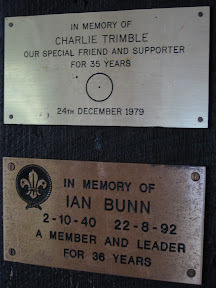 Charlie Ellis took charge of the building, assisted by many parents, Rovers and older Scouts. Then on June 20, 1925 the Hall was opened by the local M.H.R. Mr. J.G. Latham (later Sir John Latham, Chief Justice), and named "THE DEN". In 1953 the Group Committee bought the block of land on the south side of the Den for £850 ($1,700) as an investment and to provide additional space for outdoor activities. During 1954 the Group Committee subdivided the newly purchased vacant block retaining a l0 ft wide section next to the Den, and selling the remainder for £1,200 ($2,400). Plans, specifications and estimates for hall additions were finalised in 1974, approval for for these plans by Camberwell Council was delayed by objections from local residents one of whom had been an active parent. The permit eventually went to the Town Planning Tribunal for approval where Mr. Ken Gifford Q.C. represented them very well in an honorary capacity. An extraordinary amount of time was spent on the project by Committee Members John Anderson and Peter Gray. After receiving an amended permit the group was granted $5,000.00 from the State Government Youth, Sport and Recreation Department. 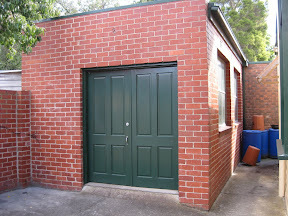 These additions were completed in 1978 by the successful tenderer Malcolm Holt. In 1984 former Cub, Bill Batty contacted us and sent us an extremely generous donation of $7,500. Bill had been in the Cub pack in 1923/24 and said in a letter to the Group, "First (City of) Camberwell provided valuable influence in my early life thanks to the contribution then of John Goss as Cub leader." Bill was very keen for the money to be used to benefit the group as a whole and wanted John Goss' name to be associated with anything that was done with the money. 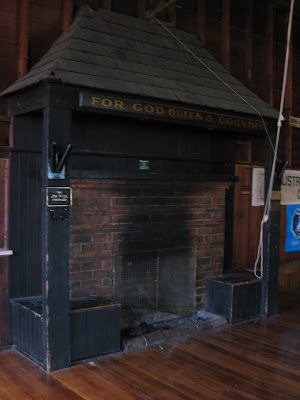 There were many plans and discussions on how the Group could best use the money, and it was ultimately decided that we would build a new Quartermasters store (on the north side of the hall) as our existing one was under the hall where it was damp and dirty. 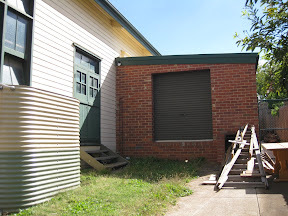 In 1990 a large storeroom was built on the south side of the hall (straight out the kitchen door) as well as landscaping the area of the bottle dump. There was a huge drama getting a permit for this to take place. But eventually it was secured and the room and bottle dump built. The room actually became the new Venturer den much to the delight of the Venturers as their old room had been repainted several times and they were out growing it. The Trustees also paid for a new up-to-date kitchen, painting the toilet area and landscaping the front grounds of the hall. With the bottle dump no longer being used, the large concrete area on the south side of the hall was useless in its current form. If the area was flat, activities could be held out there on week nights as well as social functions. 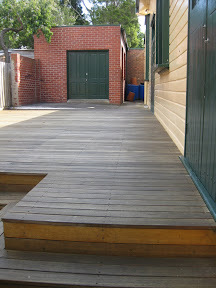 So as part of the 100 years celebrations the Trustees funded the construction of a deck which would be used for the very first time at our 100 year event in October 2008.